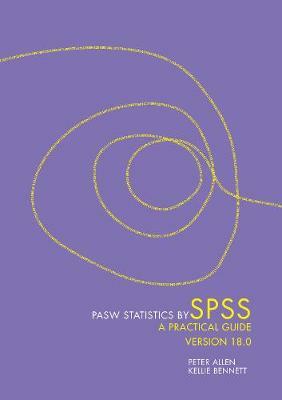 This practical, reader-friendly text will help you conduct statistical analyses using PASW Statistics by SPSS (version 18.0). Drawing on relevant examples from a range of disciplines, it introduces and then visually guides you through a range of common SPSS/PASW Statistics procedures. For each procedure it illustrates the full data analytic process: from setting up the data file, through assumption and hypothesis testing, to interpreting and reporting of results. New to this edition! a decision tree helps you find the right research procedure. Handily located inside the front cover, it's an easy reference for any research project.